The Brunswick Edge Single Roller is perfect for those that are on the go all the time. 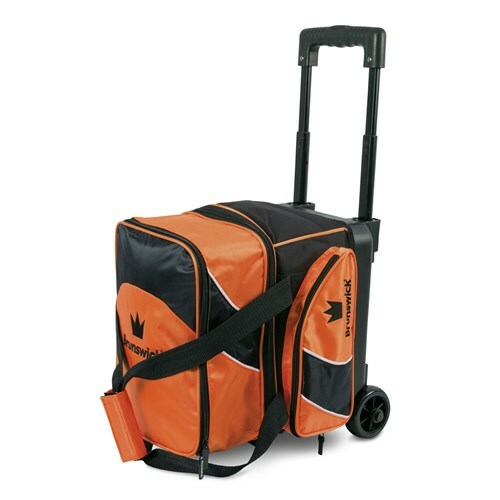 This roller features a large zippered pocket to store your bowling accessories and it has a shoe compartment that stores shoes up to a size 12. Brunswick offers a 5 year limited manufacturer's warranty. Due to the time it takes to produce the Brunswick Edge Single Roller Orange ball it will ship in immediately. We cannot ship this ball outside the United States.